Home Made Wine, or "How I Became a Winemaker"! 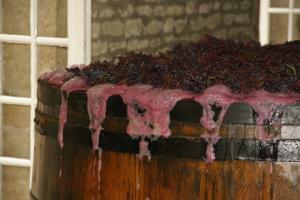 Perhaps you have caught the winemaking bug and would like to try making home made wine. You are not alone. Homemade wine is a growing hobby that could lead to a new vocation. Many professional winemakers started out this way. Why do we find making wine so romantic? I think that the main reason is that being a winemaker feels close the being a magician. You start out with one nice object (grapes), and through your effort and knowledge you turn it into something wonderful. In any book, nice to wonderful equals magic! Sing up for a free download of a book about grape growing and wine making in the United States at the time of the Civil War. This book is a wonderful history lesson into early wine making efforts in the United States. It will add to your knowledge and understanding of the wine making process. You will gain great insight into the grape varieties and growing methods used by our forefathers and mothers. We know you will enjoy this unique look into the past. We asure you that we will not share or disclose your name and email address to anyone. But Why Make Our Own Wine? Winemaking goes back to the dawn of civilization. Those who turn grape juice into wine are bearers of a body of knowledge that reaches back well into Antiquity. It is an exclusive club that goes back thousands of years. Many hobbies are solitary, but wine making is not. There are many activities that cry out for a multitude of hands. I have a friend who started with homemade wine, though now he owns a commercial winery. At various steps in the winemaking process he send out a call to his friends and neighbors to help him out. And they all rush in. Perhaps it is the idea of participating in the magic making, or they just like their friend a a lot, but he always has an eager group of volunteers. Well, that is what hobbies are all about, personal satisfaction. In this case, there is the satisfaction of having produced a good wine, even if it is not the best that Bordeaux can offer. There is also the satisfaction of the enjoyment of the taste, as well as the delight of offering it to your friends and family when they visit. Even if you do not grow your own grapes, there is a natural cycle to producing wine. The wine making calendar is dictated by the harvest and the seasons of the year. Learn how to make homemade wine. You will learn a new skill, and will participate in an centuries-old activity that will delight your friends. equipment. and also supplies. Take these lists to your local brew shop. You can also find what you need on the Internet. 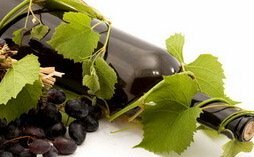 And if you are looking for a homemade wine recipe follow this link. Home Made Wine For the Sheer Joy of It!